I was fascinated to read the report in the Guardian on the research project conducted by Jo Bowers and Dr Susan Davis into the benefits of children’s literature. Focused on their primary PGCE cohort at Cardiff Metropolitan University, they found that reading children’s books helped their trainees in and out of the classroom. There is some great supplementary research cited in the article, including the NUT’s excellent Reading for Pleasure and the National Literacy Trust’s Reading for Pleasure research overview. They also cite the UKLA’s Teachers as Readers article which begins: “For primary teachers, knowledge of children’s literature…is essential in order to support the development of younger readers”. The UKLA research emphasises the importance of reading children’s literature as professional development; the National Literacy Trust and the NUT the importance for well-being. Bowers and Davis found both benefits in their PGCE study. I found myself nodding along as my attitude to children’s books combines both of these. As a secondary English teacher, I feel it is my professional duty to read the latest books aimed at the age group I teach – the Carnegie list, the Guardian prize winners, and more locally the Centurion Award shortlist. I think it helps make me a better English teacher to be able to recommend books to the students I teach. I also love it when – as Jo Facer has described – they recommend them to me! 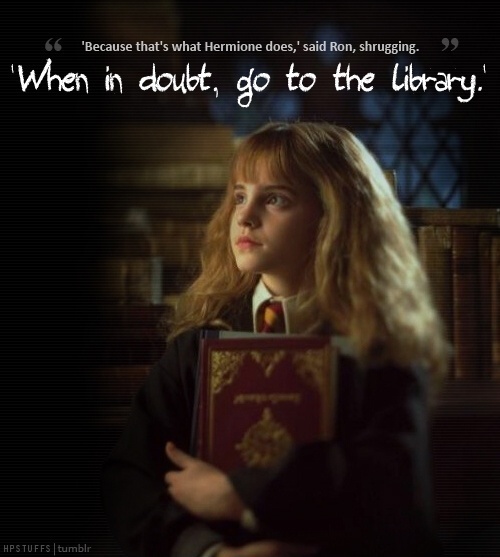 (As an aside, you must read Jo’s excellent blog – she is Reading All the Books). Secondly, I really enjoy a good children’s book. I love them like I love teaching. Back when Harry Potter books were being published, I pre-ordered and waited up for the postman to deliver my Amazon packages on release day. 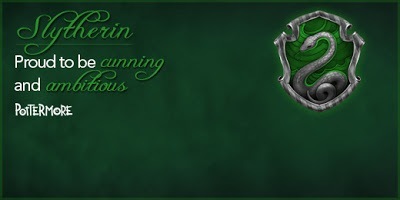 I was in the beta for Pottermore and got sorted into Slytherin. I was so taken with His Dark Materials that I went straight back to Northern Lights as soon as I’d finished The Amber Spyglass. I read the Chaos Walking trilogy back to back. I loved Lauren Laverne’s rock’n’roll magic realism in Candypop. I did an MA in Children’s Literature. My love of children’s books and my love of teaching are, of course, inextricably intertwined. I spend my working life in the company of teenagers, and I find them a real pleasure to be around. It’s little wonder, then, that I also enjoy the world of teenage (or “young adult”) literature. It’s more than that, however. It’s also about the concept of “childness” outlined by Peter Hollindale. Childness encompasses the characteristics attributed to childhood and children by the society and culture of the time. Hollindale says “childness is a changing, culturally determined concept, not a static one, and this is very important to our understanding of its influence. The childness prevalent in our age will permeate the images of it which we transmit to our children, in children’s literature and in other ways” (Hollindale, 1997: 48). The concept of childness explains why we have a mid-twentieth century age of innocence where writers like Arthur Ransome, Enid Blyton, and CS Lewis showed plucky young children getting on perfectly well without adults, solving problems and behaving honourably without the awkward intervention of hormones (except for Susan Pevensie, denied entry into Aslan’s Kingdom in The Last Battle because she is “no longer a friend of Narnia…she’s interested in nothing nowadays except nylons and lipstick and invitations. She always was a jolly sight too keen on being grown-up”). It also explains how this conception of childness seems somehow inadequate nowadays. We don’t see children in the same way any more. So how do we conceive childness today? Are our children capable of horrendous crimes as in Ann Cassidy’s Looking for JJ or Anne Fine’s The Tulip Touch? Are they sexually voracious as in Melvin Burgess’ Doing It or Julie Burchill’s Sugar Rush? Are they possessed of the inviolable moral compass of Stephenie Meyer’s Twilight books? Of course, there are as many different answers as there are children’s books, or teachers, or Daily Mail columnists firing up another “youth of today” opinion piece, or indeed children. One of the constant joys of teaching in 11-18 schools is helping young people navigate the minefield of their teenage years. They arrive as children; they leave as adults. Literature can help them vicariously try on different ways of being a teenager for size. It helps me to empathise and explore different perceptions and conceptions of the fluid, shifting sands of the teenage experience through the filter (usually) of an adult author. Because this is what my job is about – trying to understand, empathise and sympathise with the experience of growing up from the position of having already done it. Reading the books helps me to see it better. For anyone that is interested, I explored the notion of childness and the treatment of sexuality in children’s literature for my MA dissertation. You can read it here. I’d also love to hear recommendations of your favourite children’s literature, either current or from your youth – leave me a comment or tweet me recommendations @chrishildrew. Thank you! ← Can Twitter change education? Excellent article. I often read the same books as my kids – at the moment that means mostly books read by my boys – such as Artemis Fowl, Itch,and (before they got too bleak for me) Skullduggary Pleasant. However, no doubt as my daughter gets older I’ll get into the girly books. I wholeheartedly agree, Chris, knowing and enjoying children’s literature is an important aspect of the teacher’s role. This is something which my colleagues and I constantly emphasise to our primary education students. Indeed, knowing the importance of this element of English subject knowledge, we run a children’s literature book club which aims to broaden our students knowledge of children’s literature…mindful of the TARS research, Dahl is banned! Our voluntary book group has been running for 4 years and has attracted a wide range of students who are keen to develop their understanding of both picture books and novels. I can highly recommend Lucy Christopher’s Stolen….like you, I also enjoy reading young adult fiction (although I do have an issue with the term ‘young adult’….I think that it marginalises and potentially narrows the readership)….I suspect that you have already read A Monster Calls? Mr Creecher is interesting, but Code Name Verity is a must…both from the UKLA book awards. I was a voracious reader as a youngster (early qualification for English teachers?) but now love to take recommendations from students myself. Unexpectedly, I read a lot of children’s fiction to encourage my eldest (slow reader early on). Reading together and talking about it made the most difference to him too. Sure it does! A young adult is still learning about being grown up. Plenty of the “child” protagonists adopt adult roles in children’s books anyway. And, generally, they do tend towards protagonists the age of the readership to allow relation. However, Briony Tallis in Atonement is one of the most acutely observed child protagonists I’ve come across and that’s definitely not a children’s book, so it cuts both ways. Good to hear from you btw! Hi Chris If you haven’t read Louis Sachar’s Holes, then I highly recommend it. I re-read it recently when my son was doing it in school. It’s one of those books you can read on lots of different levels and it improves with every re-reading. I wonder why we split out ‘reading for pleasure’ and ‘reading in the English class’ in schools? Do you have any thoughts? Why do we insist that it is somehow ‘better’ for children to read novels written for adults rather than those aimed at their age group? (Not that they shouldn’t read these books, but it seems to me that there is a divide in some people’s opinion of their value). I loved this blog, Chris – thank you! I read a lot of children’s literature over my 30 years as an English teacher, especially in my second post when, as second in the English dept, I was also teacher in charge of the school library (no professional librarian support in those days!) and I read a huge amount in order to ensure we bought books that were well-written and that the pupils would be keen to borrow. Doubly challenging for me as this was a boys’ school and I learnt a considerable amount about what would appeal to boys between the ages of 11 and 18. I went from there to be Head of English in a girls’ school, which was an interesting transition in terms of tuning in to readers’ tastes and habits. Do you have any thoughts about reading and gender? I am currently completing my MA in Children’s Literature. I consider it essential CPD for my role as English teacher. How fabulous to find this blog! I found it really worthwhile and interesting – more so, I think, than colleagues who did straight education or leadership MAs or MBAs. Good luck with yours and thanks for the comment!